Working out at home is far different than working out at the gym – so why is home gym equipment so similar to the gear you’d find at the gym? The designers at Lunar Europe adopted the challenge of creating a home workout experience that felt more tailored to the home environment. 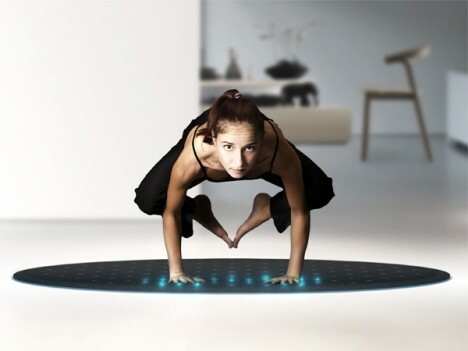 The result is Tera: an interactive concept that combines home decorating with home fitness. 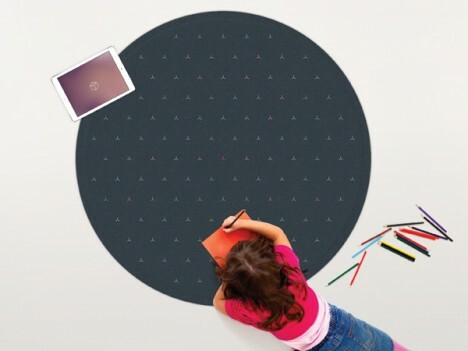 The circular wool rug looks ordinary enough when it isn’t in use, but when you turn on the specially-developed app it becomes a high-tech exercise mat. 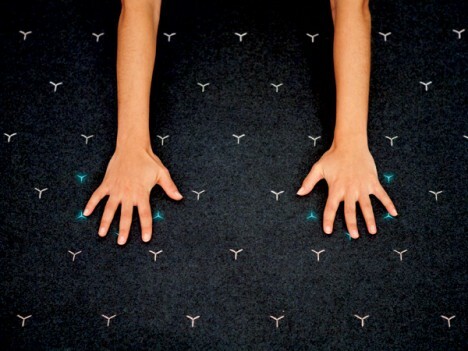 After you select a training discipline (like yoga, pilates, or Zumba), the LEDs on Tera’s surface help guide your movements. The pressure sensitive surface can detect with a high level of accuracy how you are moving your body, and the app gives you feedback on your workout. The app records and analyzes your workouts, and when you’re done you can share the information with a personal trainer via social media. Tera is a concept and not a real product at the moment, but the innovative fitness tool has already won several design awards. See more in Unbuilt Concepts or under Technology. February, 2015.